As so many stories do, this one starts with a small hobby that grew into something amazing. Two teachers, a husband and wife named Donn and Sarah Kreofsky, began making handmade wooden toys for their children in their spare time back in the early 1980’s and began selling them at arts and crafts fairs shortly thereafter. They eventually got their line of toys, named “Lark Toys” into some 2,500 stores nationwide. Due to demand they set up a retail store in 1988 at the Minnesota factory where they were manufacturing just south of Wabasha. Over the course of the next decade, Donn began work on the largest toy he could think of: a handmade carousel showcasing his woodcarving talent. 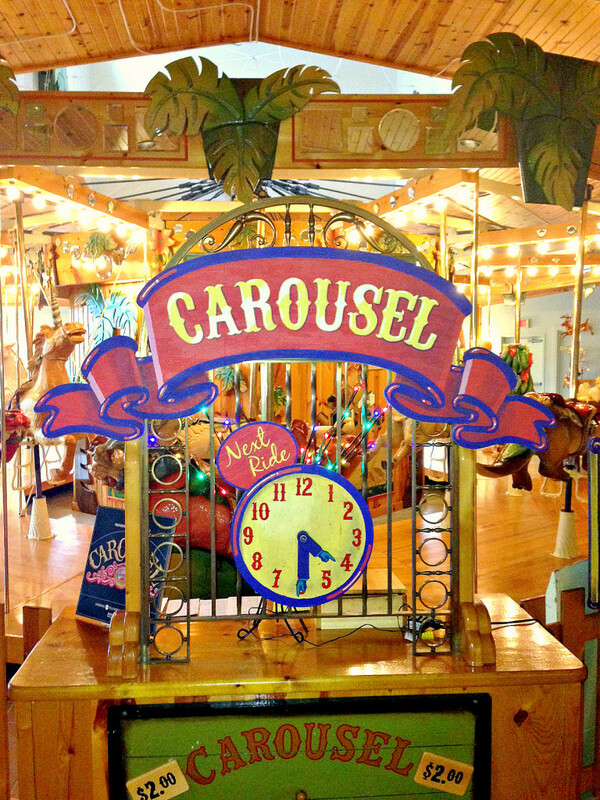 Around 1997, the carousel was finished and ready for use. 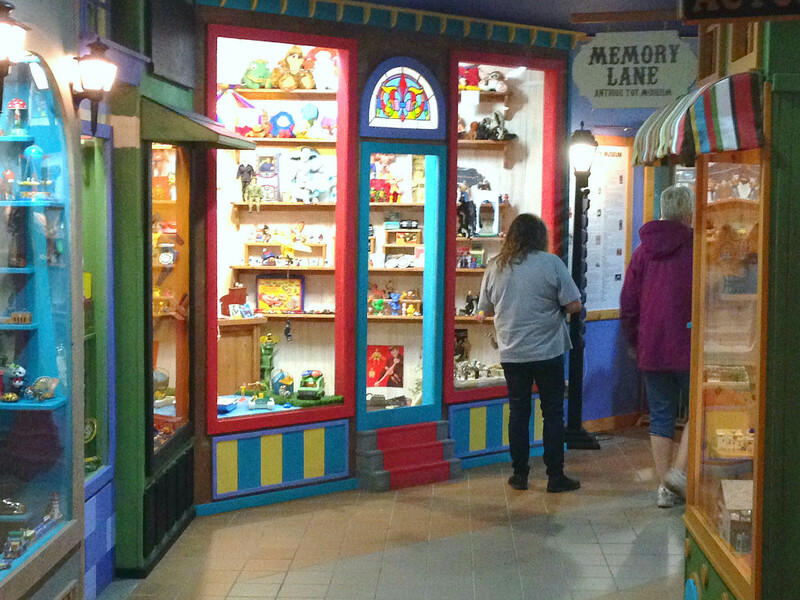 Over the years they had begun to amass a collection of many vintage toys from the past decades, and created a toy museum inside of the new Lark Toys facility, located along Highway 61 in the scenic Mississippi River valley. 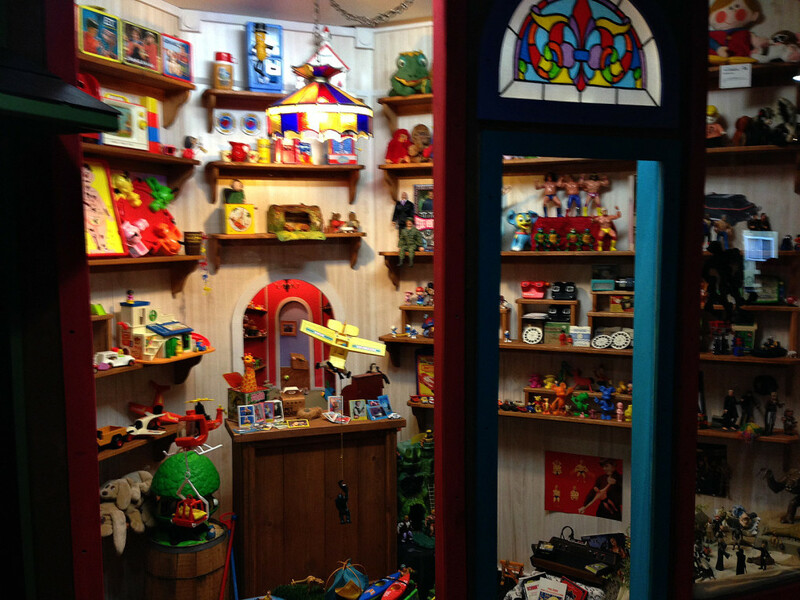 The museum is free to wander and reminisce upon as you enter Lark Toys; one revels in nostalgia upon seeing the advent of toys over the past 100 years. The museum ranges from board games to Rock-Em-Sock-Em Robots to Fisher Price, to Popples and Weebles and everything else you had forgotten from your childhood, whatever era that may be. After marveling and saying “I totally had one of those!” plenty of times in the toy museum, you can next enter two different areas. The first area is a meandering toy store with many different rooms; with everything from classic board games to kites and plastic swords to a room full of Lark’s own line of toys. There’s even a wing dedicated to educational toys and games. But the centerpiece of Lark Toys is without a doubt the full-scale, hand-built carousel, on the other side of the facility. Much like Cafesjian’s Carousel in St. Paul, it is a work of art with incredible details and design. 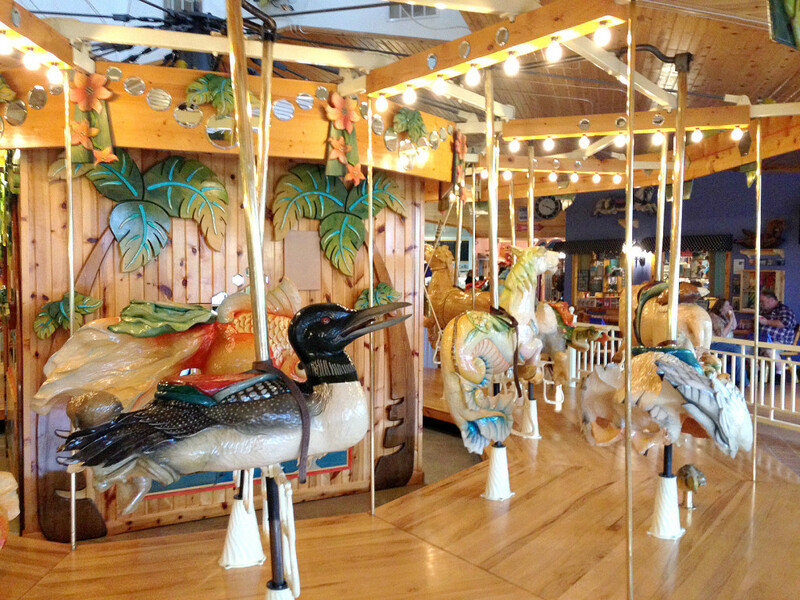 Constructed over 9 years, the carousel was created by Lark’s owners, head toymaker, and local artists. With departures every 15 minutes, kids can climb aboard their favorite animals or characters and enjoy a ride accompanied by pipe organ music coming from the interior. Customers can enjoy cafe snacks, fudge, ice cream, and a candy store while waiting for their turn. But wait, there’s more! 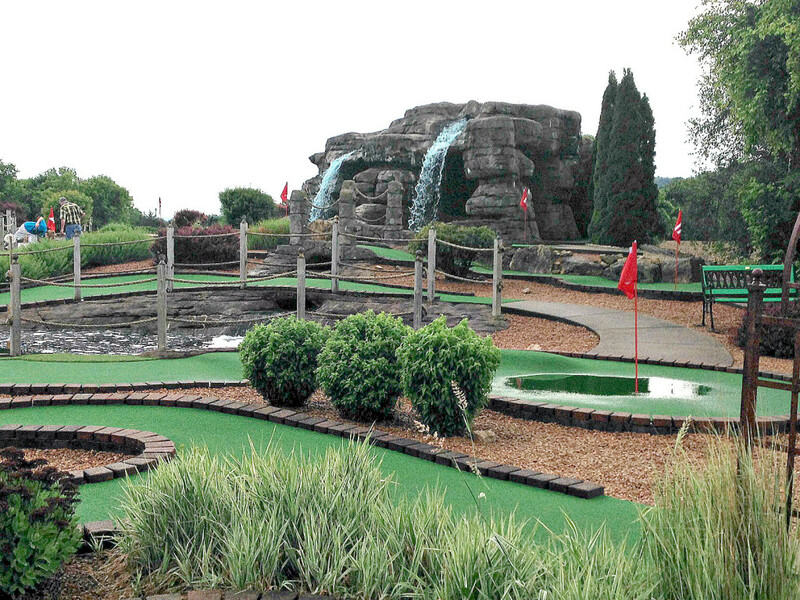 Outside, there are llamas meandering in an enclosure and a mini golf course complete with waterfalls and a picnic area. 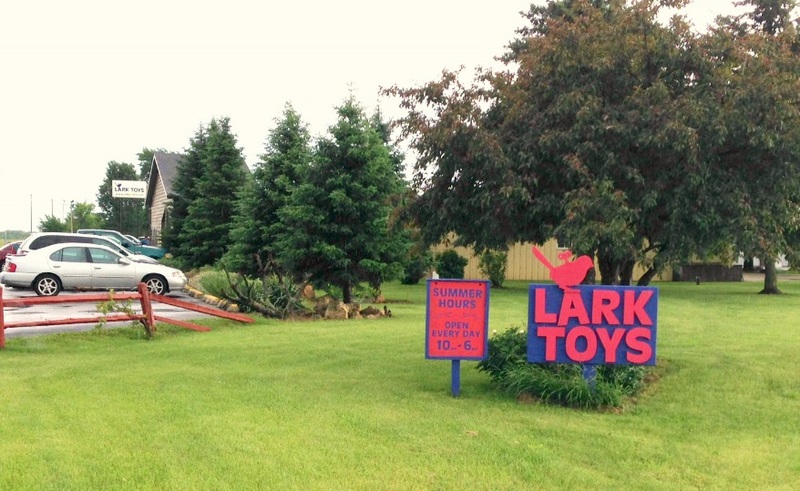 Lark Toys is a one-of-a-kind attraction with a storied history and shouldn’t be missed while passing through the beautiful bluff-lined southern stretch of Highway 61. Although the original founders are no longer the owners, the current proprietors have guaranteed that Lark Toys will remain one of Minnesota’s best hidden gems for many years to come. While in the area: There are a lot of beautiful places and things to see along Highway 61 between Red Wing and Winona. Check out the historic town of Old Frontenac, the touristy Lake City where waterskiing was invented, or the beautiful Pickwick Mill, an old preserved gristmill dating back to the 1850’s.